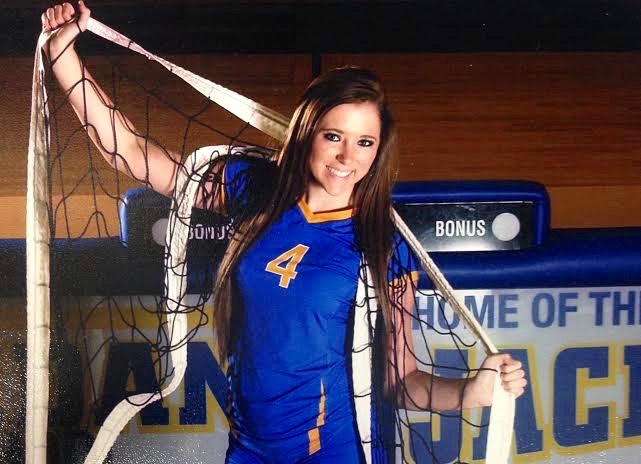 Sydney Barnett, a senior at Sheridan High School, recently was selected to play in the Arkansas Activities Association All-Star Volleyball Game. The All-Star Game, which will include stand-out seniors from across the state, will be held June 22, 2016, at the University of Central Arkansas. “This is a huge accomplishment for Sydney and our school,” said SHS Volleyball Coach Emily Grimmett. Barnett, who has played volleyball for six years, also achieved All-State this year, All-Conference her junior year, and was voted by her teammates as their best server. Additionally, she accumulated impressive statistics this season, including 52 kills, 20 aces and 114 digs. On the court, Barnett not only learned to love the sport and being part of a team, but learned many life lessons as well. “Volleyball has taught me so many life lessons such as working together, communicating, leadership, and how to be a team player,” Barnett said about her appreciation for the sport. After high school, Barnett plans to attend Arkansas State University and major in pre-med to become a pediatrician. But for now, she is enjoying her time in Sheridan with her friends and family who are extremely proud of her. When asked to comment about Barnett’s accomplishments, her father Darren Barnett said, “Congratulations on this great accomplishment Sydney. We are so very proud of you. Through your skills, passion and leadership, you are an inspiration to many!"